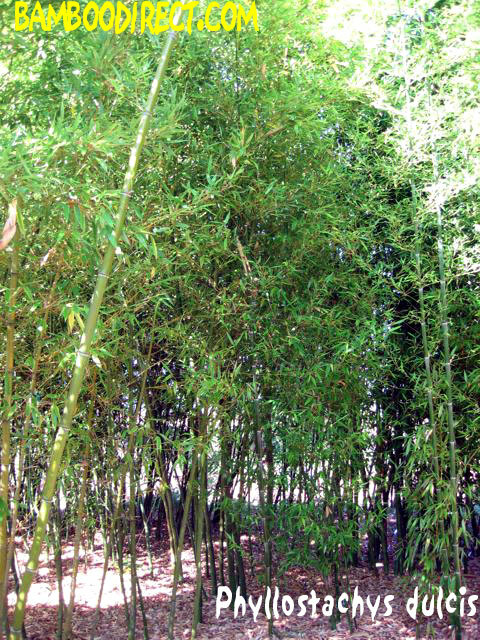 These are the classic giant bamboos that are so prized by people all over the world. 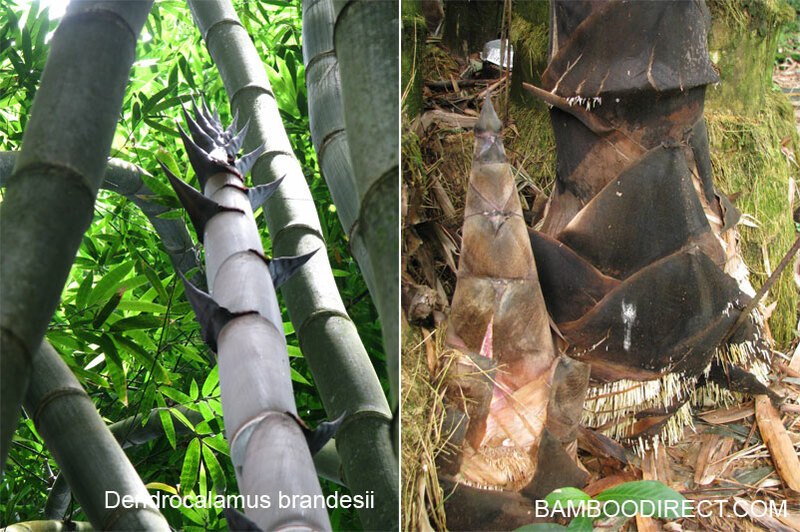 Some are tropical giants and others are for temperate areas. 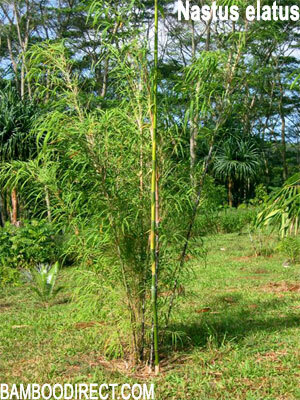 The mature height of these bamboos range from 40 to 70 feet. 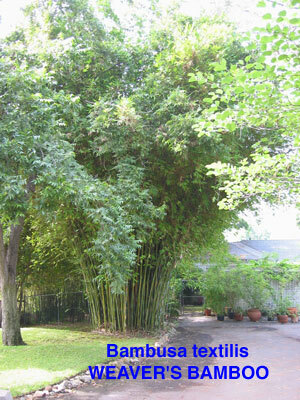 The culms have a diameter between 3 and 7 inches. Give the big running species at least a 25 X 25 foot area to create a grove. 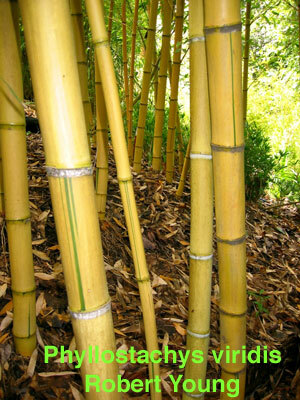 If a smaller area is needed install a rhizome barrier. The bar below lists our nursery price. Pink price means we are out. Go to SHIPPING for mail order information and cost. it. 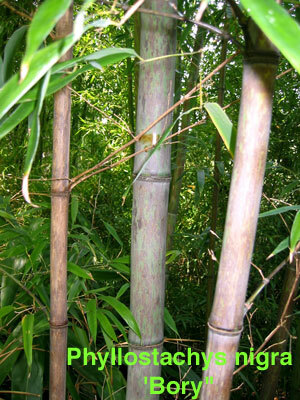 The culms are straight and thick walled. The nodes are smooth and not prominent. may be interesting. 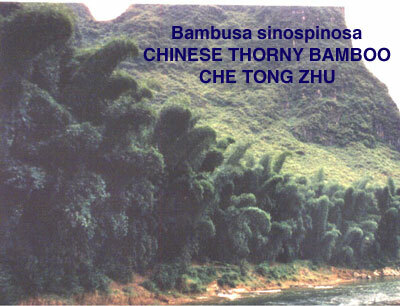 Often seen in photographs on the banks of the Li River in Southern China. skyline. 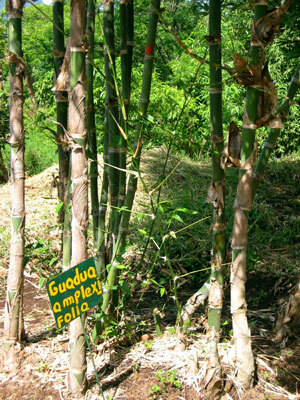 The fibrous wood is woven into baskets, mats and other useful items. Slightly smaller than the standard species. 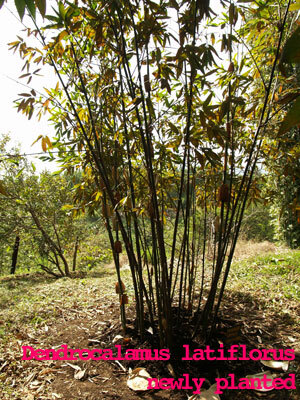 Graceful form with nodding tips and pretty foliage. tight clump with the tops of the culms nodding down. 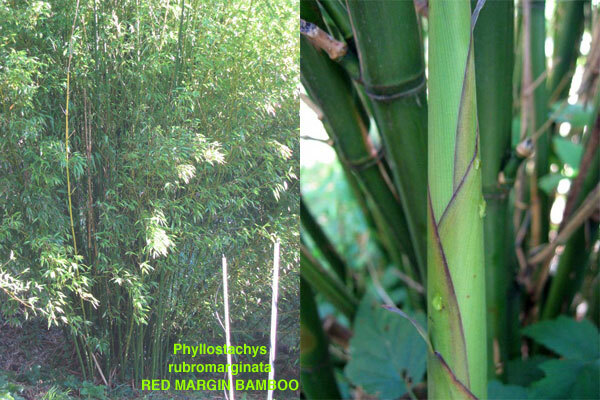 The big green timber size bamboo seen throughout the tropical world withB. v. 'Vittata' below. Excellent houseplant. Not recommended for use as a building material. 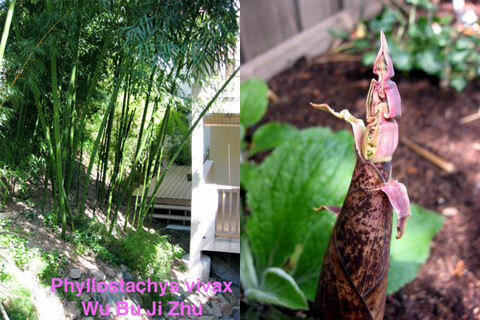 growing in the warmest USA zones. New seedlings! growing in the warmest zone. A specially selected dark culmed variety recently grown from seed. 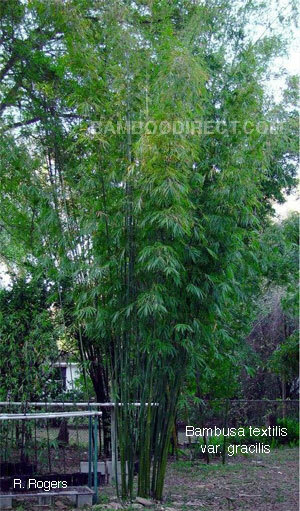 A big beautiful bamboo with nodiing culm tips. 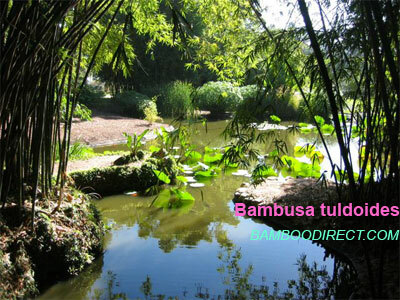 Used for food, timber, basket making, and mats. 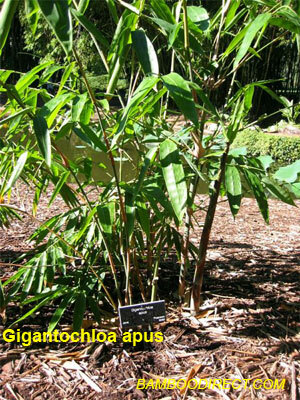 A tropical giant form Southern China. 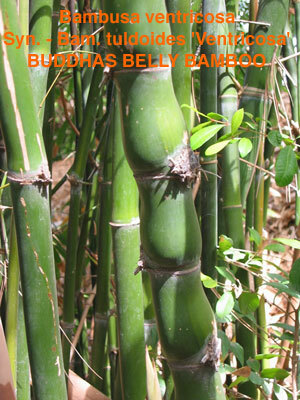 It is one of the mainstays of the bamboo shoot canning industry. California, So. Florida and So. Texas. 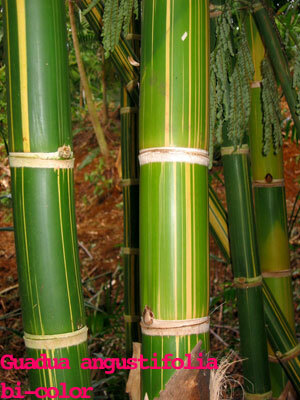 Similar to above but with culms striped with light green. thick, hard and solid at the base. 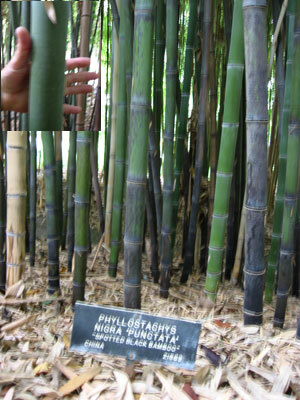 A commercial bamboo of the paper industry in India. 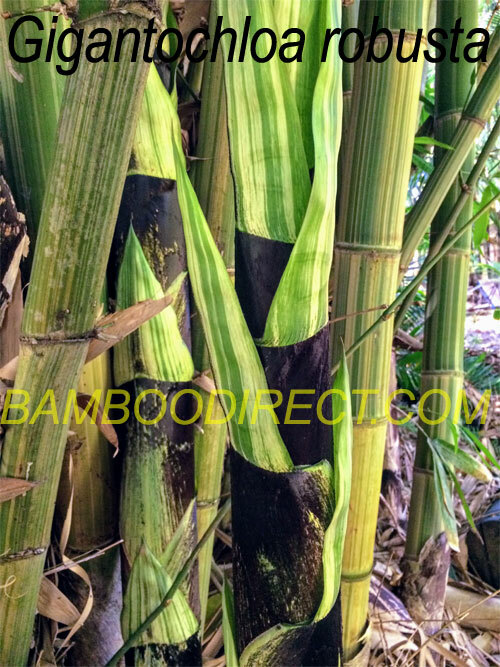 culms highlighted by light colored sheath make the culms attractive.The leaves are large and pretty. since it retains the dark color after harvest. 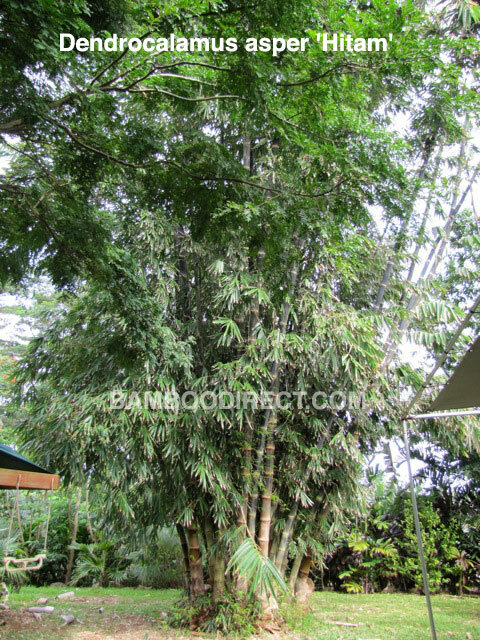 A beautiful Indonesian Timber bamboo utilized for strong culms. Beautiful too. 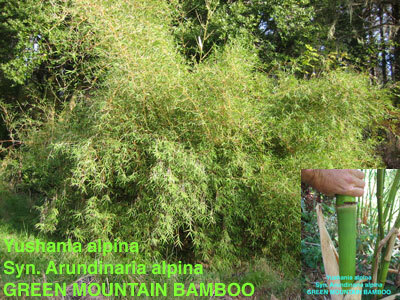 extends from Northern Mexico to South America. not as straight as G. angustifolia. Prominent white bands around the nodes. 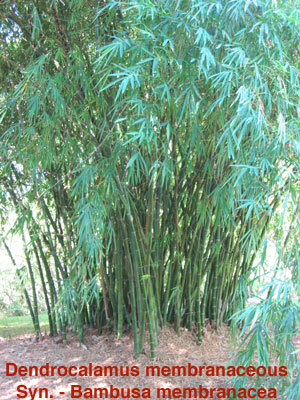 and planted on more plantations, its stature and beauty are top notch. Thorny. rings around the nodes. Thorny. very good edible shoots. 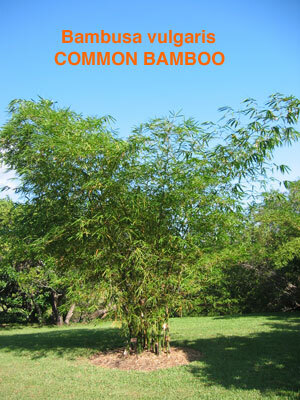 Plant only in the warm tropical frost free zones. excellent quality for wood working. quality is not the best for crafting. 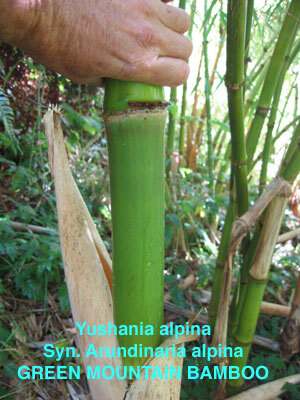 It is probably one of the fastest growers to reach mature size. Performs well in hot, dry summer areas. 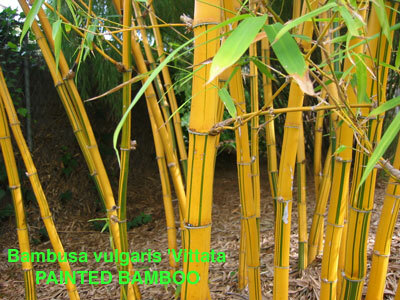 Named for the bluish powder on the new culms. 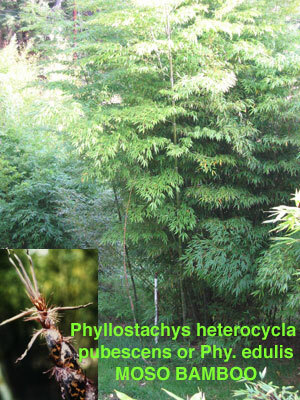 A fast growing important species for timber. looking of these seedlings may have reached a height of 40' a diameter of 3". 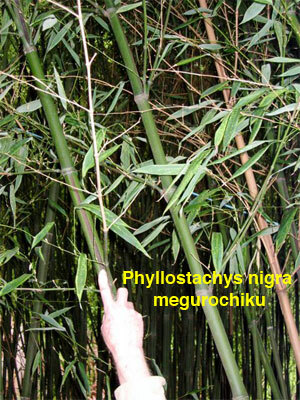 Slow to reach timber size. Now there are also 1992 and 1997 seedlings available. 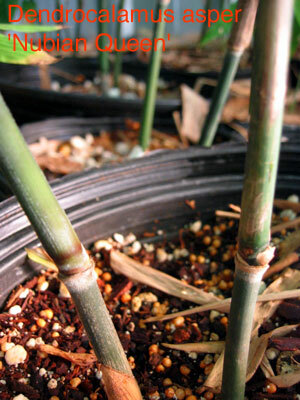 Collect a new seedling every 10 years! well through the growing season. mottling on the older culms. It has a nice appearance and good quality wood. the sulcis (groove). A source of high quality wood for crafting. green to black. 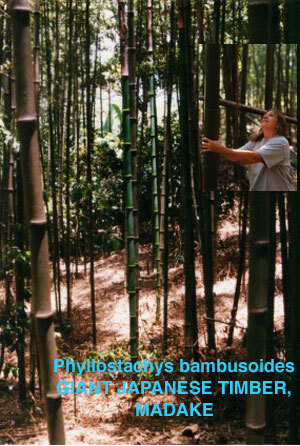 A very useful bamboo for building and craft. 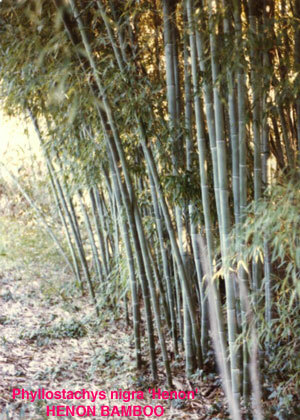 the older culms. It has a nice appearance and good quality wood. splits well. 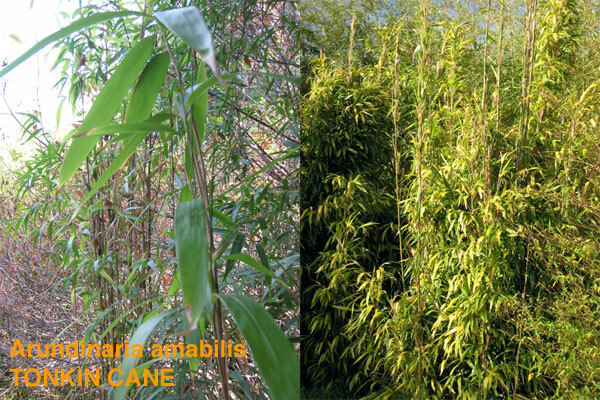 A good producer of quality and quantity in culms and edible shoots. 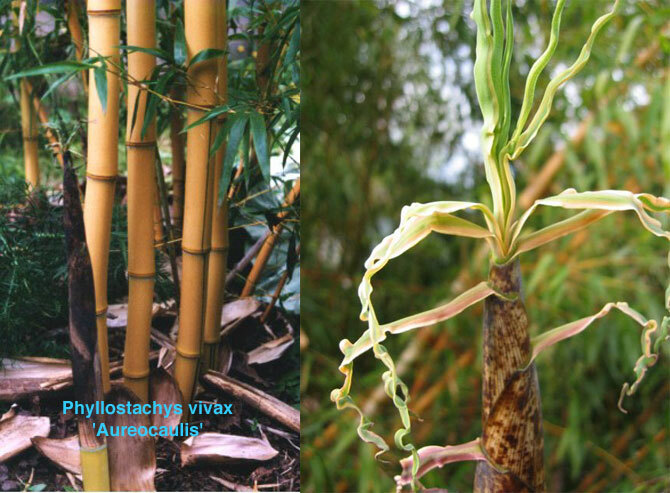 Culms turn canary yellow to gold after a year. Thin green pin stripes occur here and there.Grows fast. 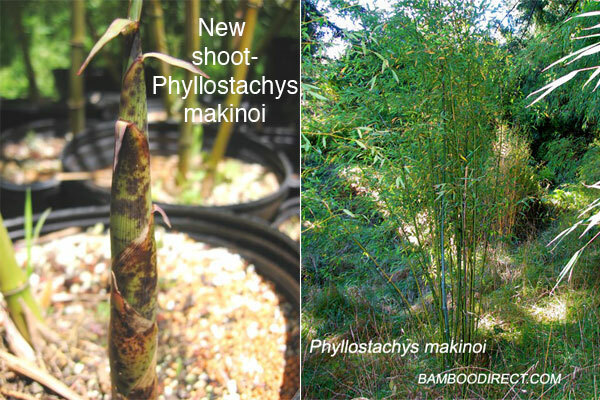 Tends to have fewer but bigger shoots than most. 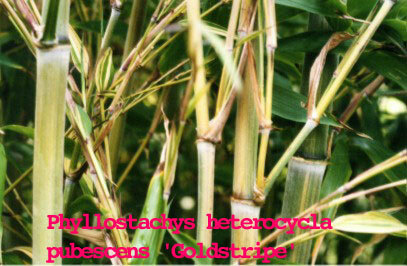 Yellow culms with a few crisp greenstripes. 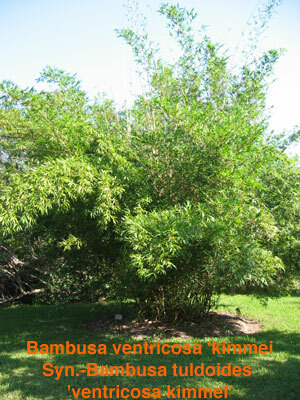 A fast grower to timber size. as a houseplant. It does not tolerate the cooler of the frost free climates. the narrow coastal zone of the west coast.